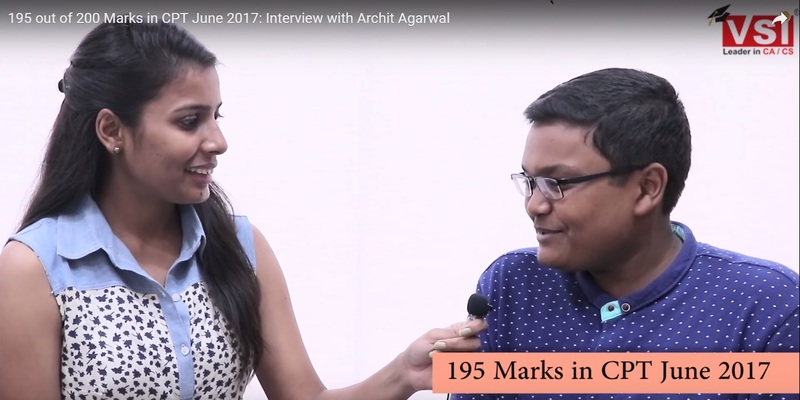 This year Archit Agarwal Scored 195 marks in CA CPT June 2017 results, which got announced on 18 July 2017. The result left him and his parents surprise as none of them were expecting this much. In the interview with Archit Agarwal, He talks about his success mantra and importance of coaching in CPT preparation. He also shares his tips and tricks for future CPT aspirates. Along with Archit Agarwal, Mrinal Jain also scored 195 marks this year. The dedicated and hardworking boy from Jaipur gives his entires success credit to his parents and teachers. In the interview with him, he shared his study plan, preparation tips for the exam and also spokes about stress management. He considers CPT online test papers help him succeed The success talk with him will surely help next-generation CPT or CA foundation aspirates. With the dreams of becoming a Chartered Accountant, Supriya Kabra studied hard to clear her first hurdle i.e. CPT June 2017. 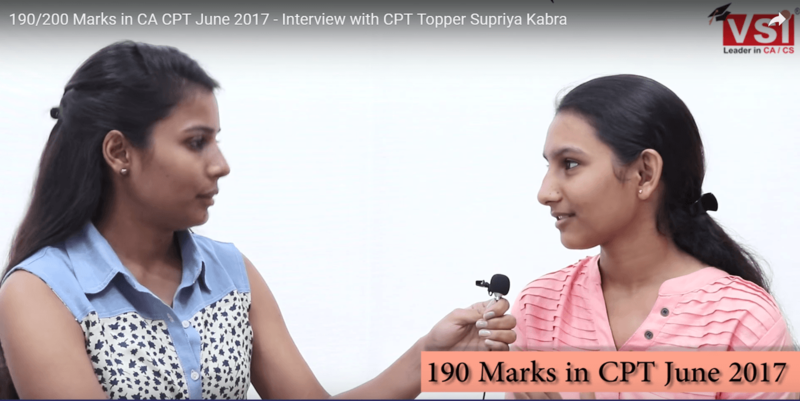 With the help of her discipline and dedicated study schedule, she achieved 190 marks in June 2017 attempt. In the interview, she shares her complete study plans and advises the aspirates to work on time management skills. The passionate girl is now preparing hard for her Intermediate exams. 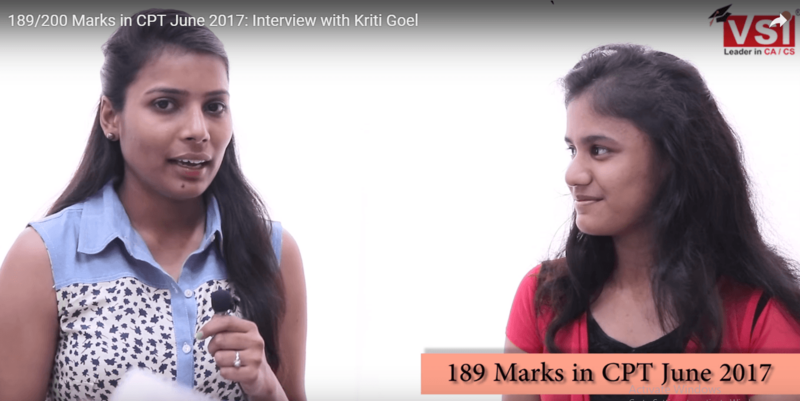 The Delhi girl feels overjoyed for scoring 189 marks in CPT June 2017. She said, "I was never expecting the results to be this good". She is really grateful to her parents for the support and to teachers for expending helping hand in academics. She made a perfect balance between coaching, self-preparation, and stress. Kriti is now aimed to repeat the success in CA Intermediate 2018.